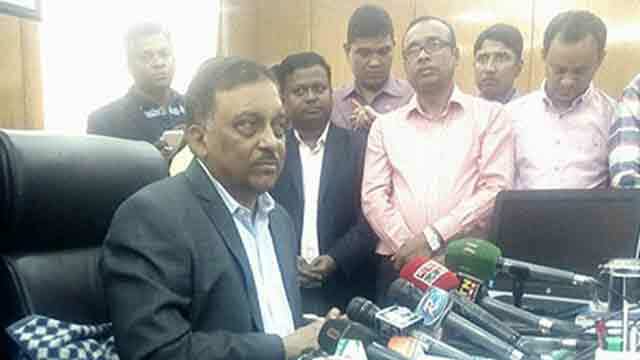 Dhaka, Feb 13 (Just News): Home Minister Asaduzzaman Khan Kamal today said that Khaleda Zia landed in jail following the verdict in Zia Orphanage Trust corruption case and “she has not been shown arrested” in any other case. “Confusion is being created over the issue. If there is any production warrant and if the court thinks that it will summon her, it’s not our matter,” the minister told journalists at his ministry office. The home minister came up with the remarks as multiple news outlets yesterday ran news claiming that Khaleda Zia was shown arrested in several cases. The minister said BNP chairperson is being given all facilities according to the jail code. Responding to an allegation that Khaleda Zia is being kept in an old and musty building, the home minister said Kashimpur jail is far away and there is no female ward in central jail Keraniganj. “That’s why she is being kept there for her convenience. This place is good,” he said. This jail has also not been declared abandoned, the minister added. On February 8, Khaleda Zia was sent to jail in Dhaka after she was handed a five years’ rigorous imprisonment in the case.